﻿ What is CFP Transceiver? CFP, short for C form-factor pluggable, is a multi-source agreement to define the form-factor of optical transceiver for the transmission of high-speed digital signals. The c stands for the Latin letter C used to express the number 100 (centum), since the standard was primarily developed for 40Gbit/s and 100Gbit/s interfaces for Ethernet, Telecommunications and other applications. The electrical interface will vary by application, but the nominal signaling lane rate is 10Gbit/s per lane and documentation is provided for CAUI, XLAUI, OTL4.10, OTL3.4, and STL256.4 electrical interface specifications. The CFP MSA was formally launched at OFC/NFOEC 2009 in March by founding members Finisar, Opnext, and Sumitomo/ExceLight. The CFP form factor, as defined in the MSA, supports both single-mode and multi-mode fiber and a variety of data rates, protocols, and link lengths, including all the physical media-dependent (PMD) interfaces encompassed in the IEEE 802.3ba standard. CFP was designed after the Small Form-factor Pluggable transceiver (SFP) interface, but is significantly larger to support 100Gbps. The electrical connection of a CFP uses 10 x 10Gbps lanes in each direction (RX, TX). 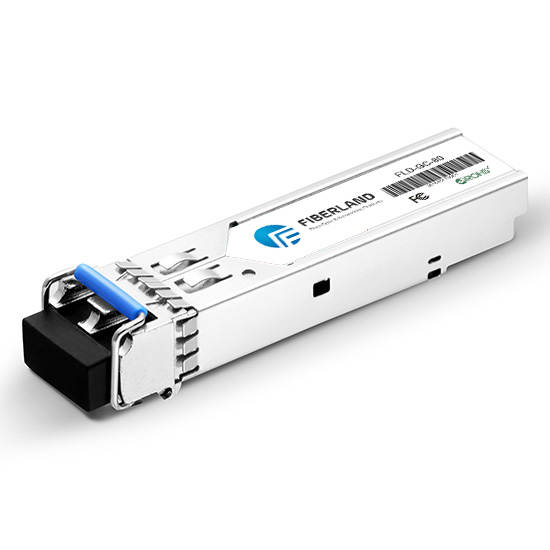 The optical connection can support both 10 x 10Gbps and 4 x 25Gbps variants. CFP module supports a single 100Gbps signal like 100GE or OTU4 or one or more 40Gbps signals like 40GE, OTU3, or STM-256/OC-768.